Stephen Tarnoff, MD, serves as president and executive medical director of the Washington Permanente Medical Group (WPMG), leading and advocating for the nationally recognized 1,200-member multispecialty group. The medical experts of the WPMG practice in 25 Kaiser Permanente medical centers and in partner hospitals across Washington state. Over his career, his responsibilities have included strategy and business development, Medicare plan quality, revenue cycle management, documentation and coding, health plan product development, community relations, and health public policy issues. 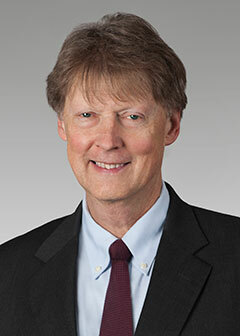 Currently, Dr. Tarnoff is responsible for overseeing the care of more than 670,000 Kaiser Permanente Washington members. Dr. Tarnoff’s professional life has been devoted to improving the clinical and service performance and operational efficiencies of our integrated care delivery system. His leadership roles have emphasized creating a culture that focuses on continuous quality improvement, a better care experience, and the efficient and appropriate use of medical resources. He has twice been elected to the WPMG board of directors, and his contributions toward improving patient care have been recognized with a Lifetime Achievement Award by the Washington Permanente Medical Group. He graduated from the University of California, Berkeley and the Keck School of Medicine of the University of Southern California, and completed his residency in Family Medicine at the University of Washington. He completed a fellowship in Medical Education and Health Policy at the Association of American Medical Colleges. He is board certified in Family Medicine and a member of the Washington Academy of Family Physicians and the Washington State Medical Association.